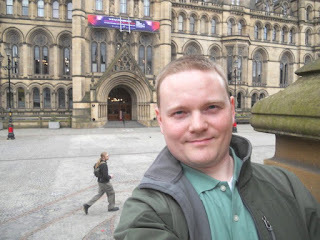 In April, Darren (and five other guys from Aberdeen) took a trip to Manchester, U.K. for the Society for the Study of Theology conference. 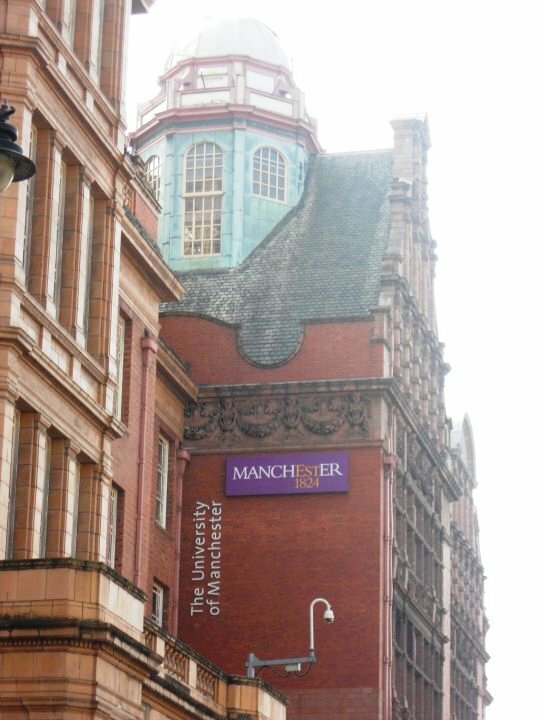 The conference was held at the University of Manchester, toward the north end of campus. 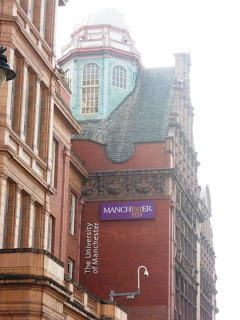 Apparently, the main campus is nicer, but they didn't wander down that far. 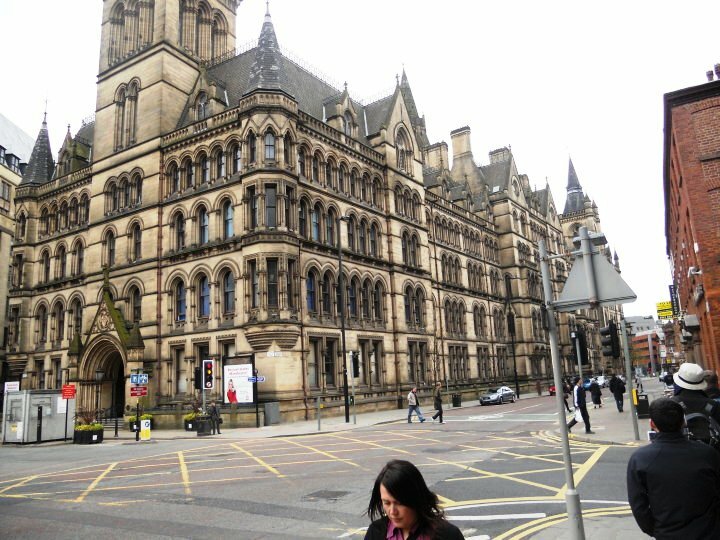 But they did spend some time walking through the city of Manchester. 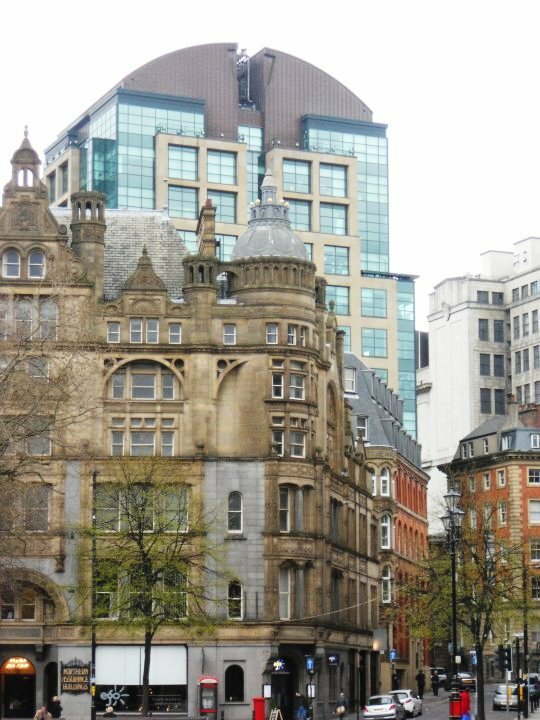 Here is the Manchester City Council building that dates to 1877. 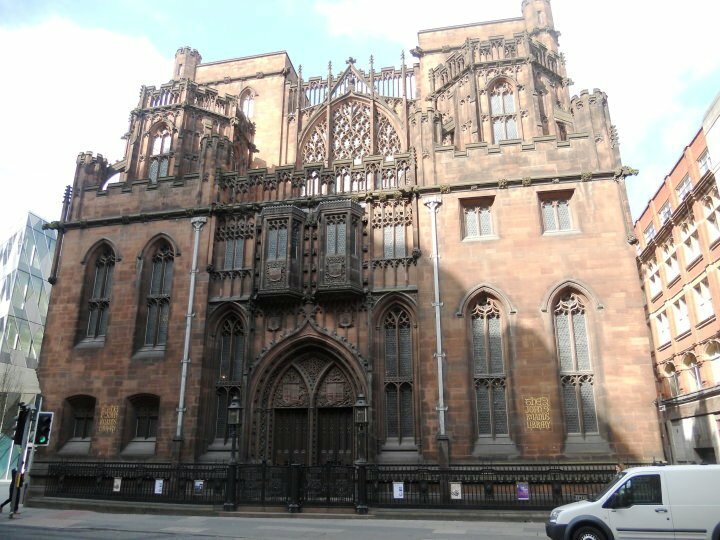 Beautiful architecture! There were street artists sketching this building from the city square. The Manchester's architecture juxtaposes the very old and the very new on nearly every city block. At then end of the conference they hit the pub for celebration (and more theology talk, I'm sure). 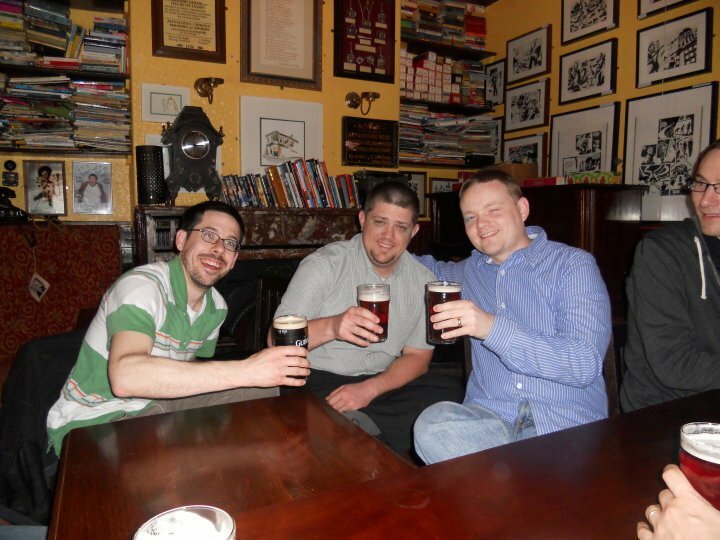 The two guys with Darren in the picture both presented papers at the conference. Before heading to the train station to depart on Thursday they stopped at the historic John Rylands Library. 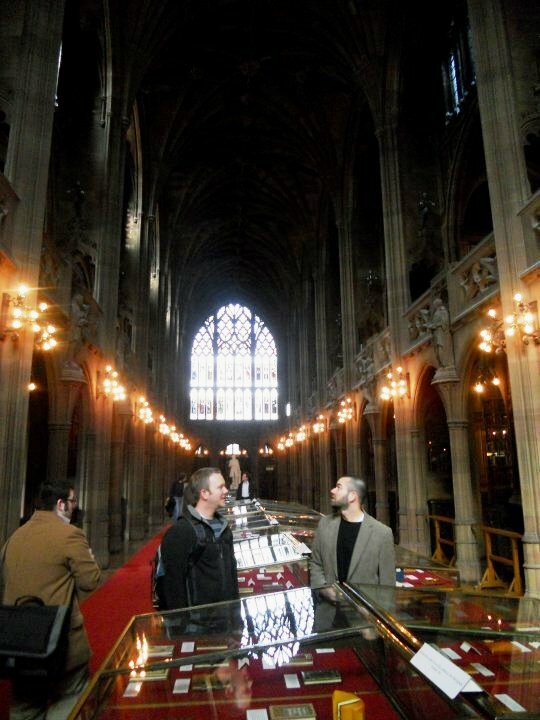 Inside the John Rylands Library is a the University's Special Collections, including a small fragment of St John's Gospel, the earliest known fragment of the New Testament in any language (but it was in use at the time, so they didn't get to see it). 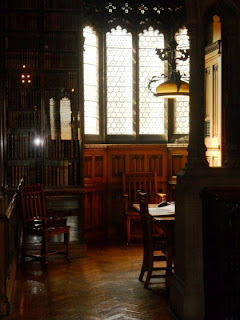 University students actually study in these nooks. Awesome space. I know that Darren would love to be spending his days studying in this type of building and atmosphere. They had a short train stop in Edinburgh on the way back. Darren and a friend took the opportunity to check out the view of the city before boarding the next train. 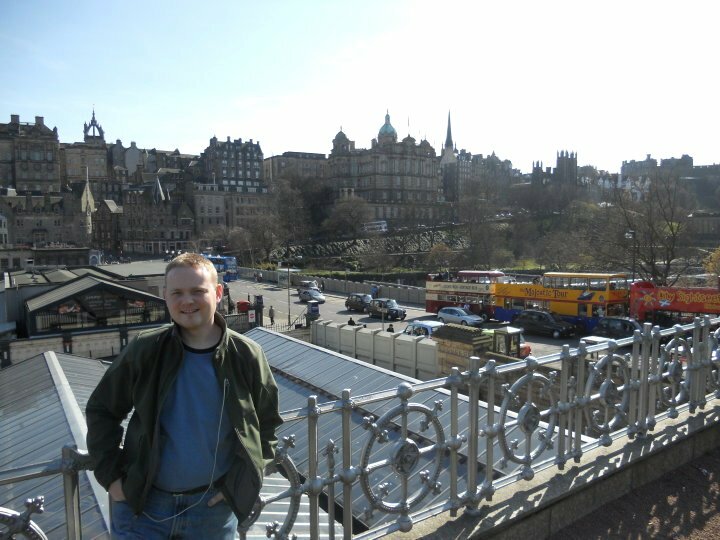 Below is a picture of the Edinburgh skyline. The tower to the left is reportedly where John Knox preached. To the right is New College at the University of Edinburgh, where we came within a hair's breadth of going instead of Aberdeen, and right of that on the hillside are the remains of Edinburgh Castle. 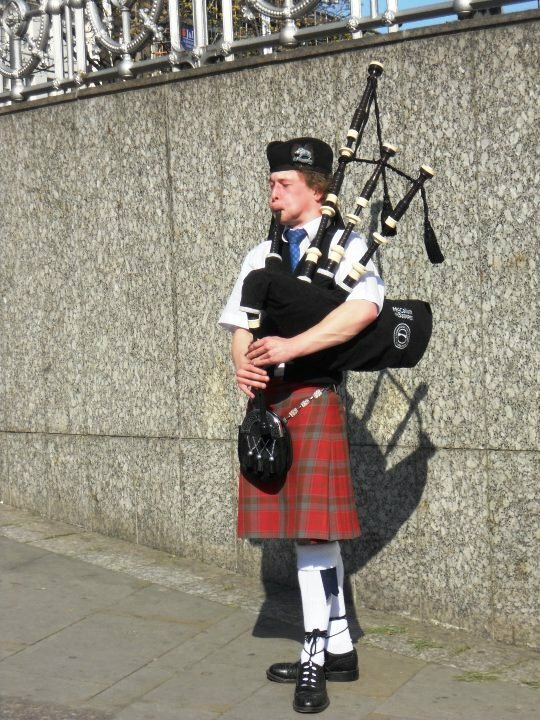 Darren stopped to enjoy the Scottish street performers. He called the kids and I so we could enjoy the music as well. I put the phone on speaker so the kids could listen to the bagpipes... and both children started dancing. Too cute! Love that Joshua and Abigail danced to the piper over the phone!